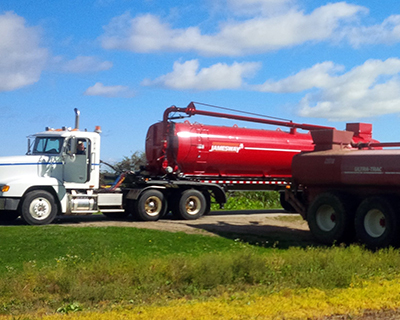 The transfer kit allows you to pump liquid manure from a transport tank to a spreader tank. Choose between a Transfer Only Kit or a Transfer & Spread Kit. 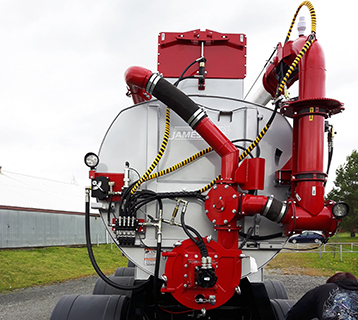 The kit may be configured with the input from the top, bottom or side to accommodate a wide range of retrofit applications, and the controls may be rear mounted or cab mounted. So the transfer arm may be mounted on the left or right. The bolt-on accessories include high-mount spread nozzle, low-mount spread nozzle or hose connection kit for long distance transfer. The hydraulic powered gate valves feature a cast iron body and stainless steel gate. 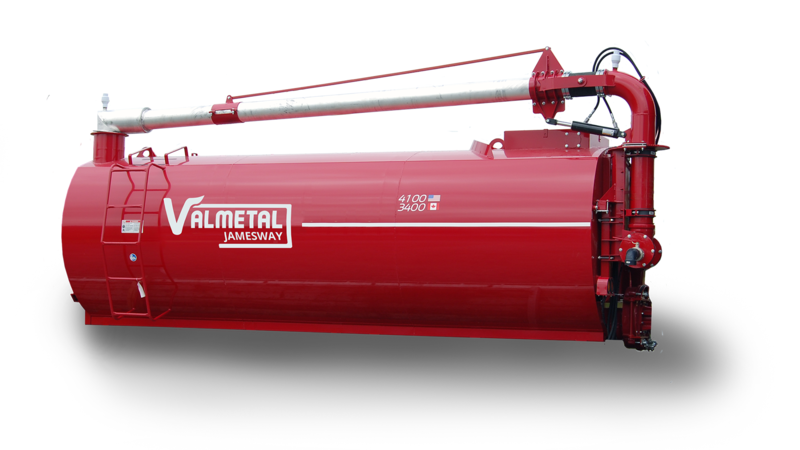 The collar is field welded to the tanker. 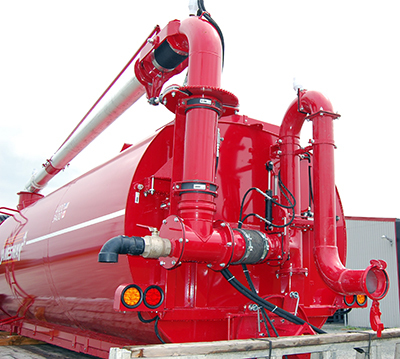 The kits are available for direct mounting on Truck Mount Tankers or on Trailer Tankers and will connect to the existing impeller and pipes. The hydraulic drive impeller assembly bolts on for easy service. The square tube mounting frame makes it easy to mount the transfer kit. The T-1 steel construction assures long life. The H.D. oilbath bearing assembly protects the hydraulic motor from manure exposure. The swing-open door makes cleaning fast and easy.